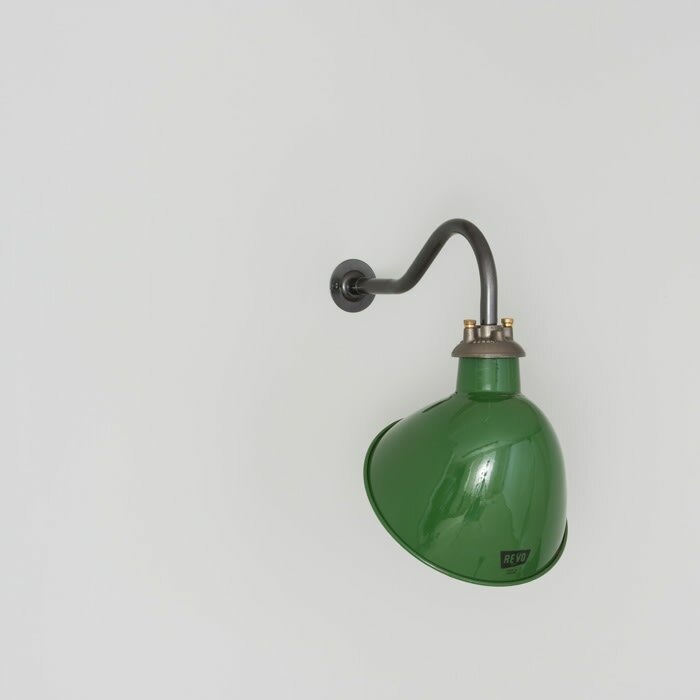 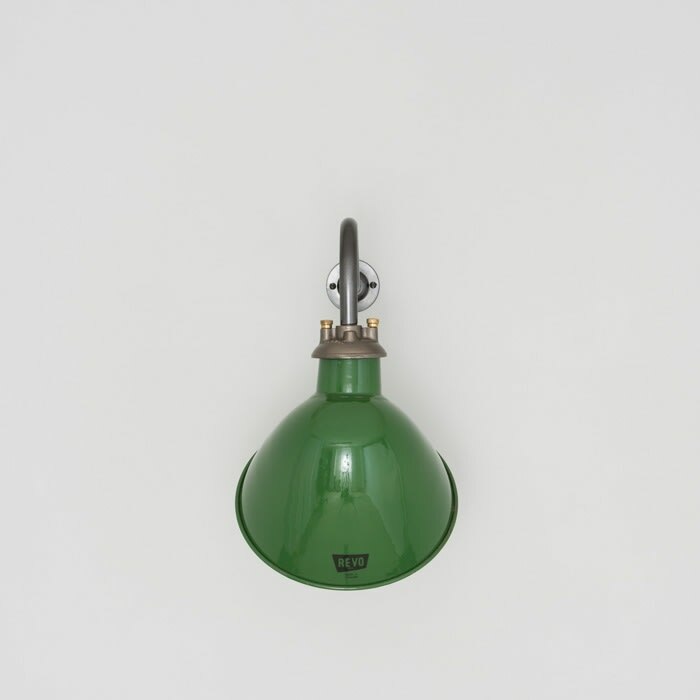 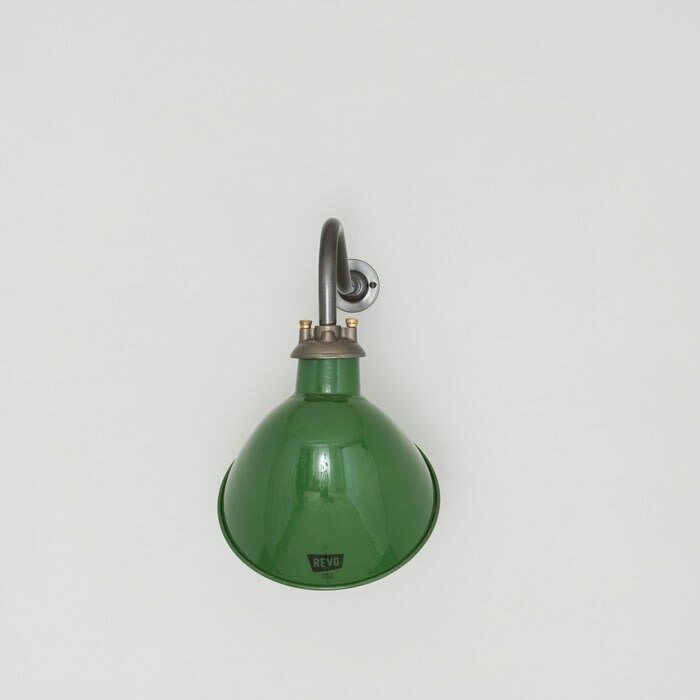 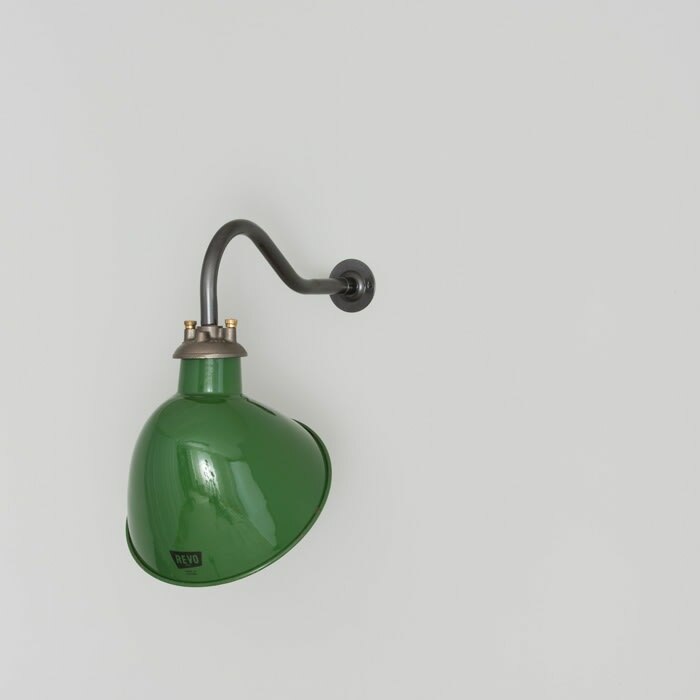 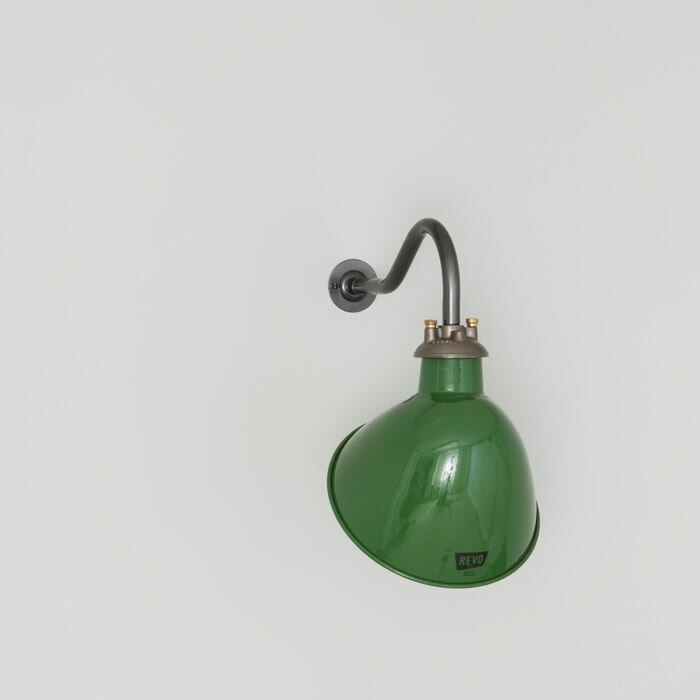 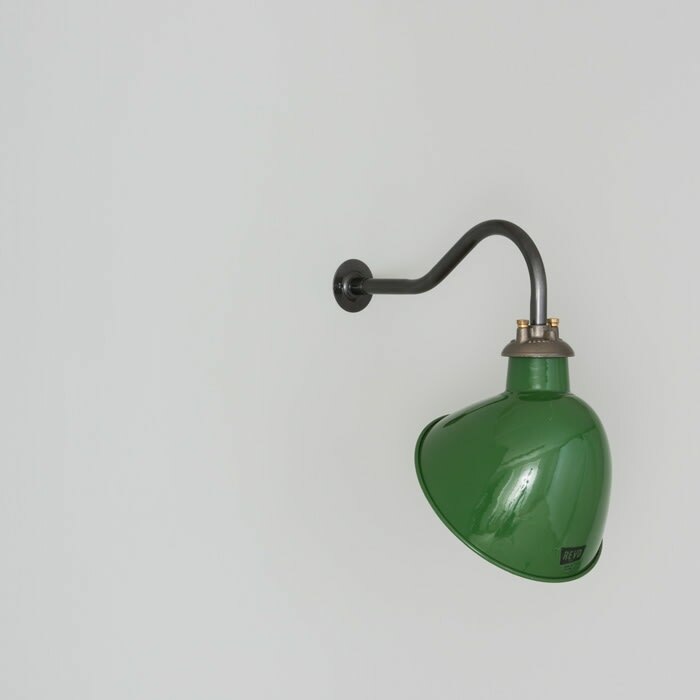 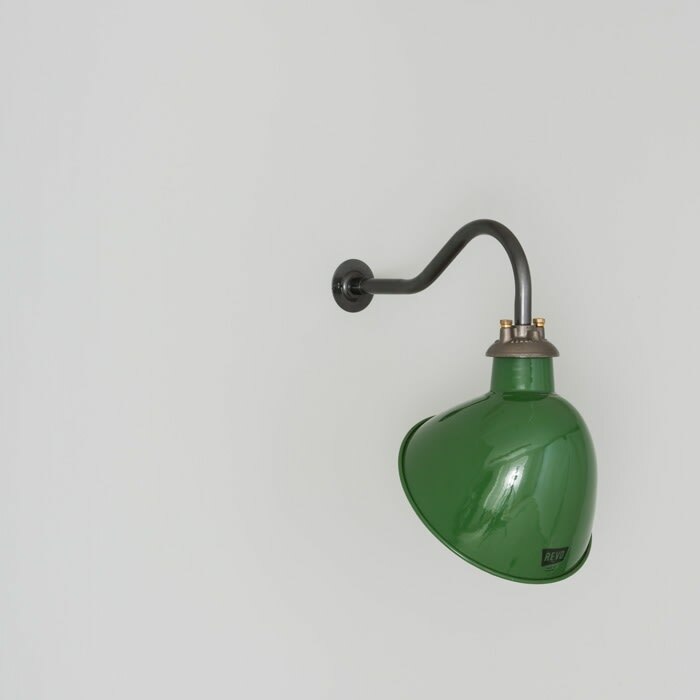 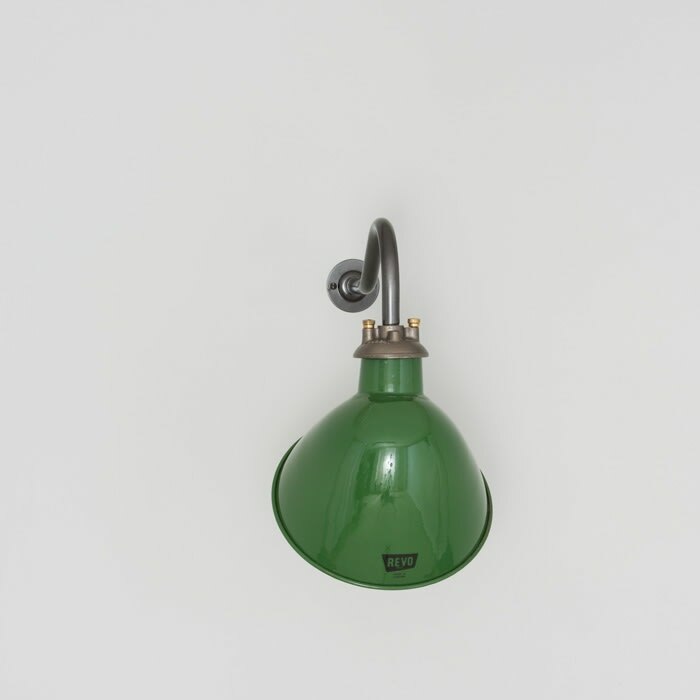 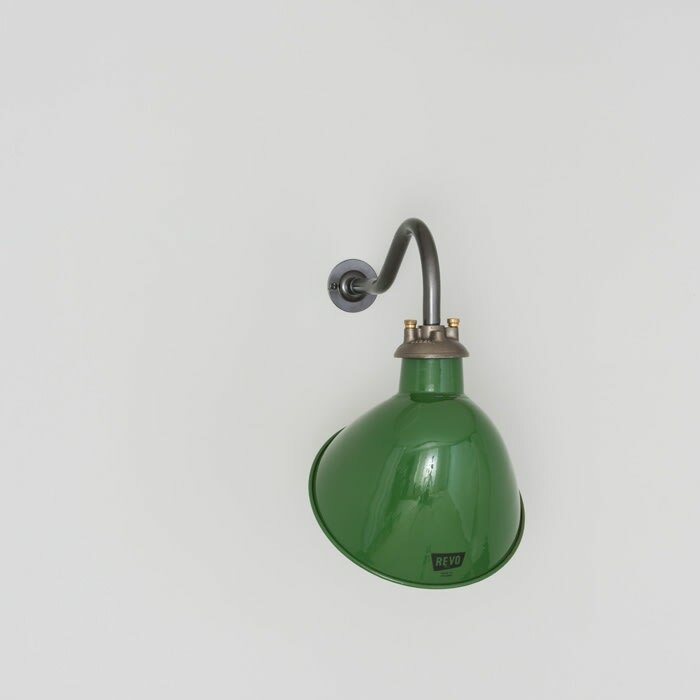 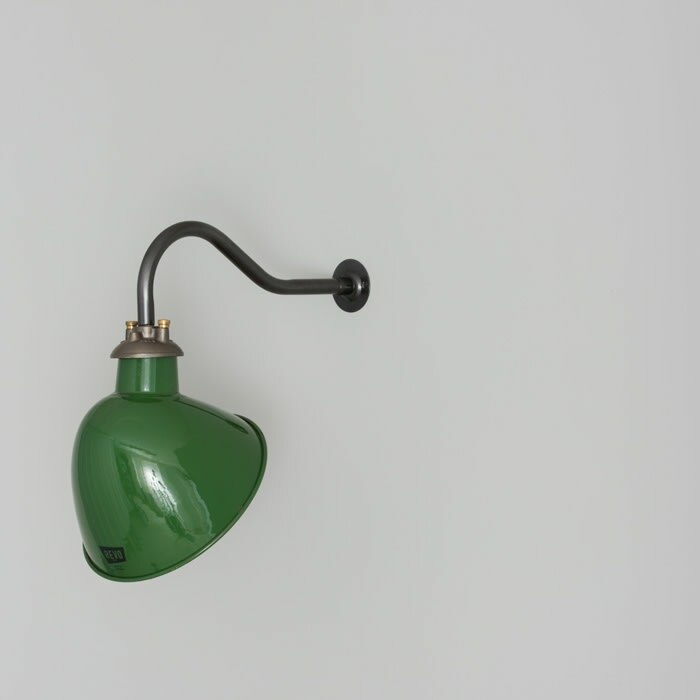 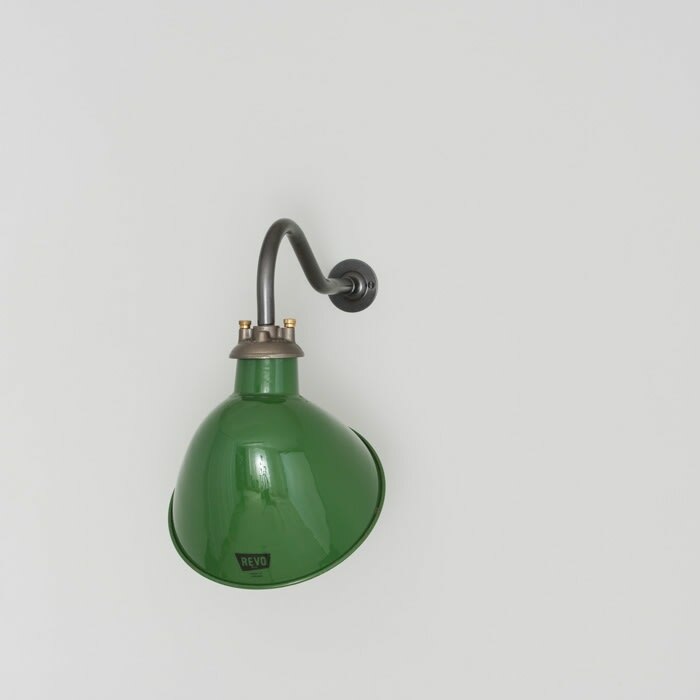 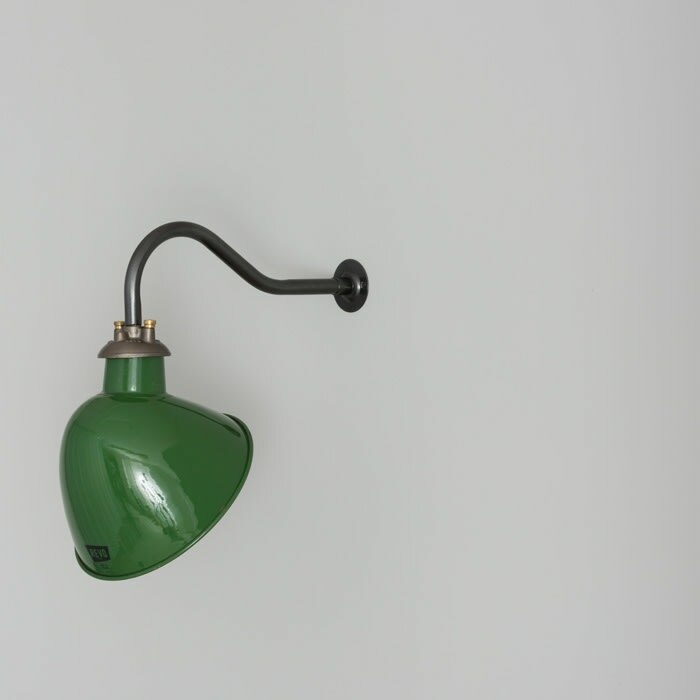 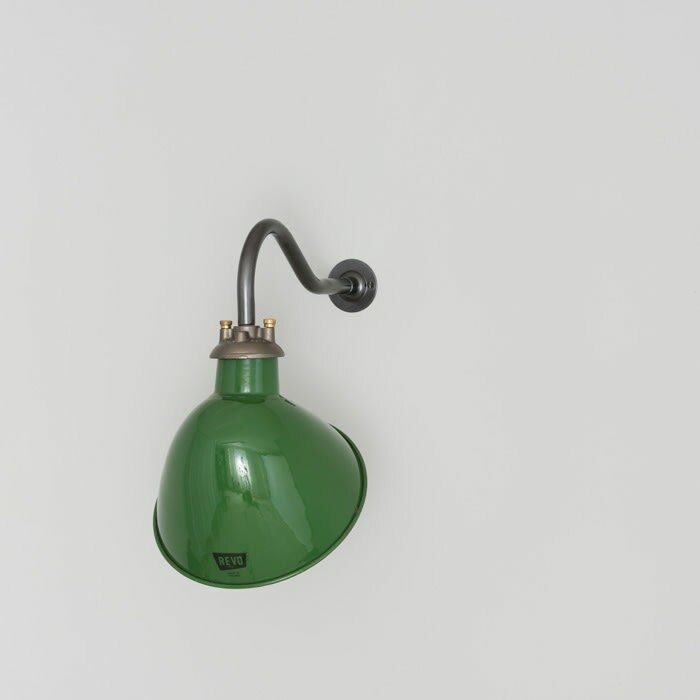 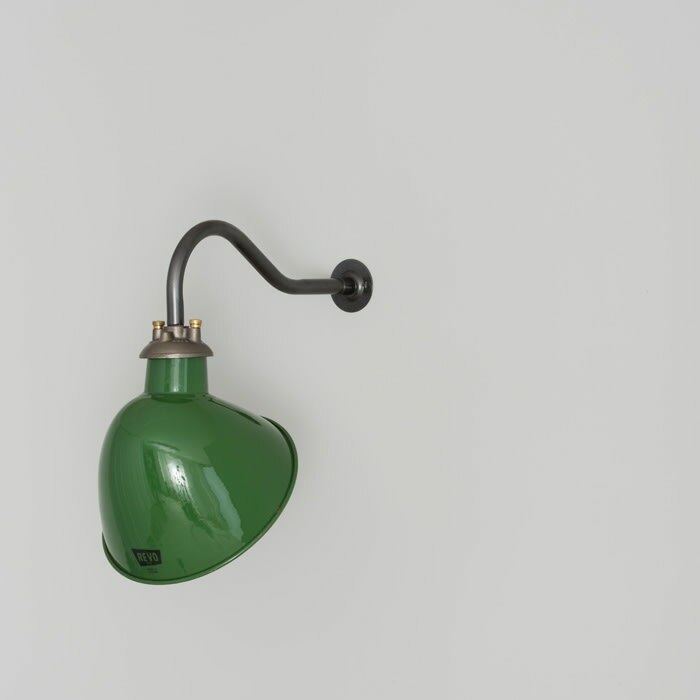 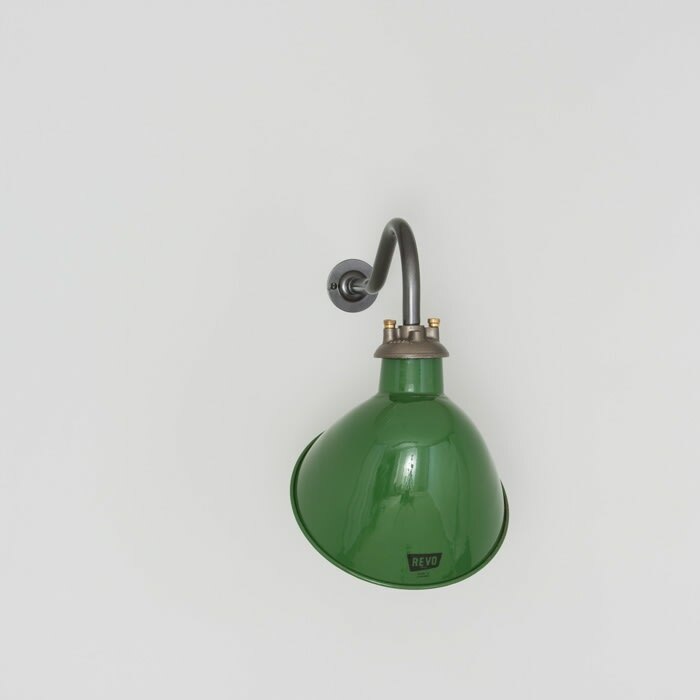 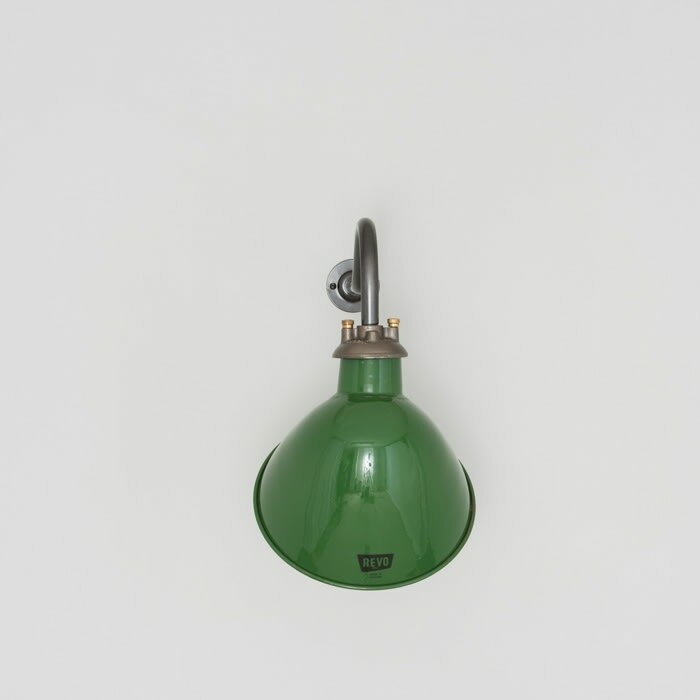 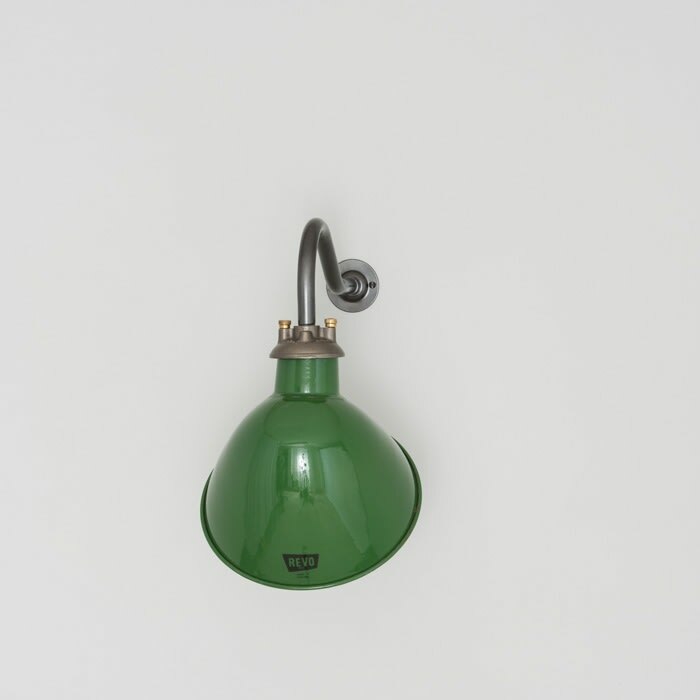 Vintage British wall lights with a vitreous enamelled shade and bracket. Originally made by REVO the lights feature their original embossed manufacturers' logos and cast steel galleries, mounted to a new power coated steel swan neck bracket. 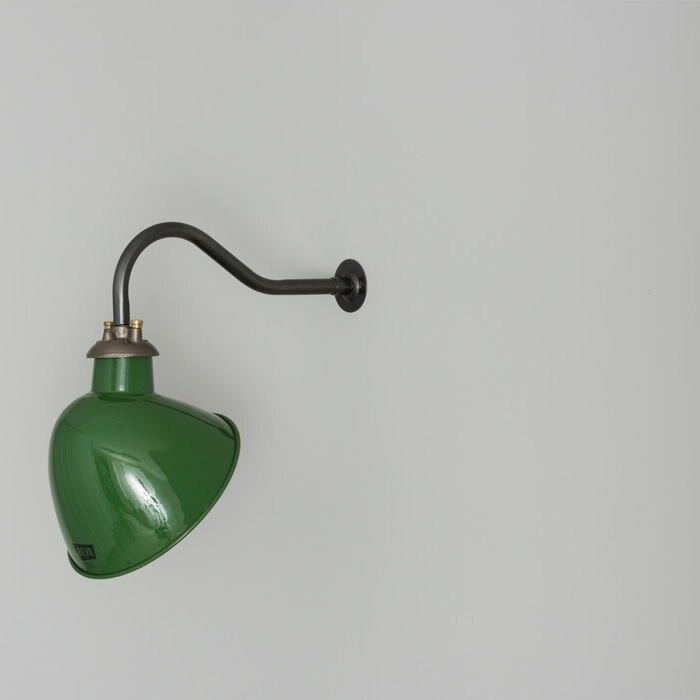 In the mid 20th century, lights were designed with care and made to last. 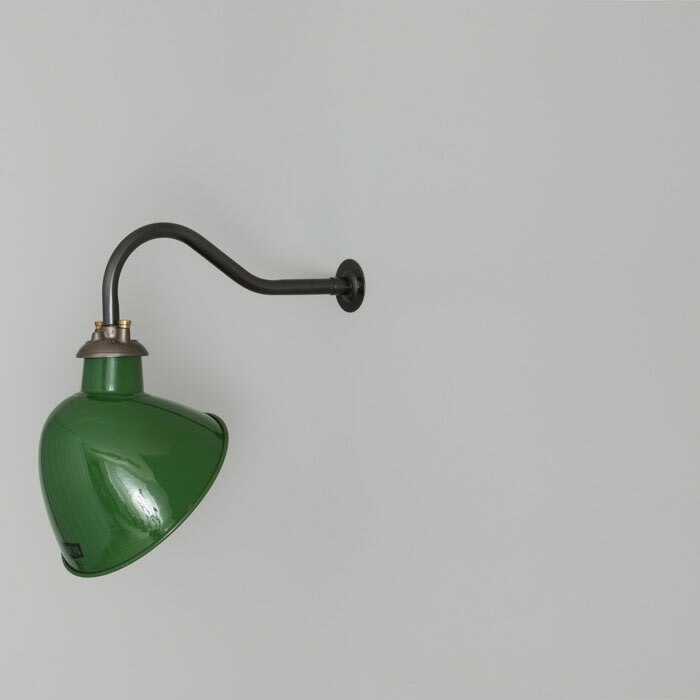 The work we do at skinflint is based on respecting and preserving the heritage of each piece. 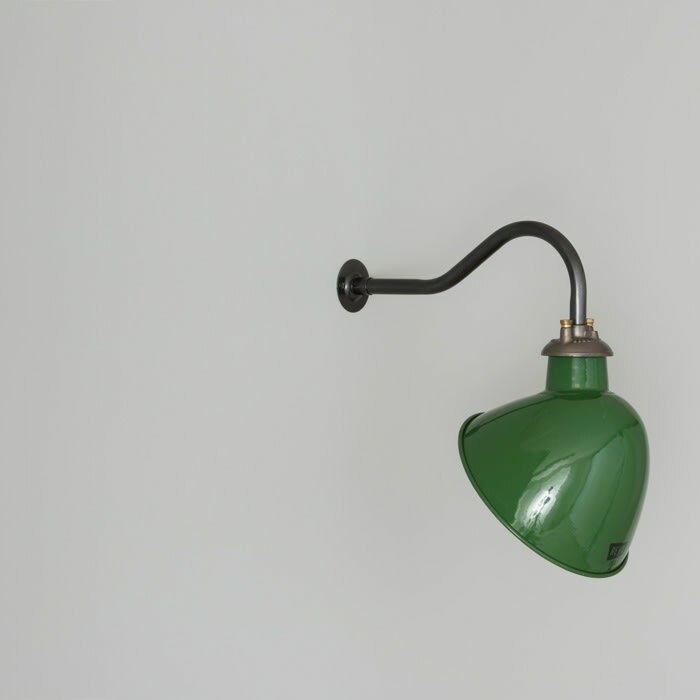 We have three guiding principles: to salvage the best lighting from the 1920s to the 1970s; to restore every piece sensitively - without compromising its character; and to restore each fixture to the highest modern standards. Every light we reclaim has two tales to tell - its original use, and how it came to be salvaged. 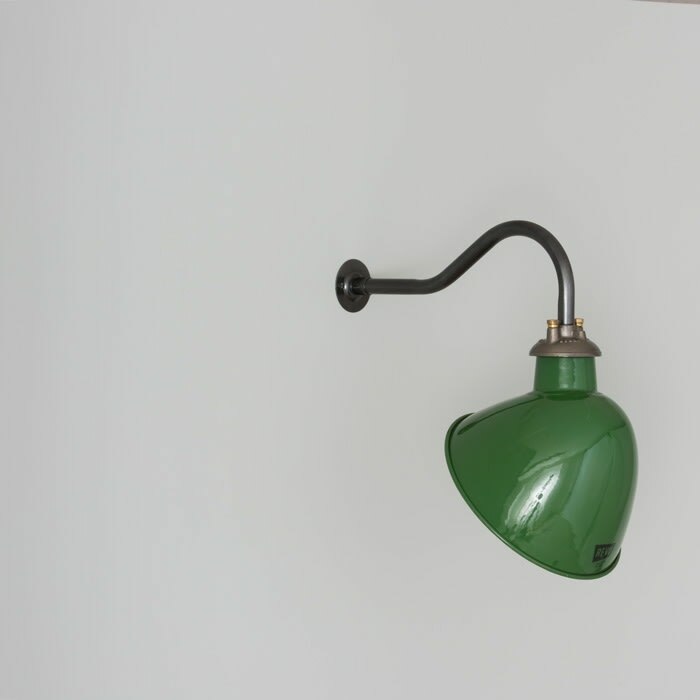 We’ll let you know its history but the next chapter is up to you.